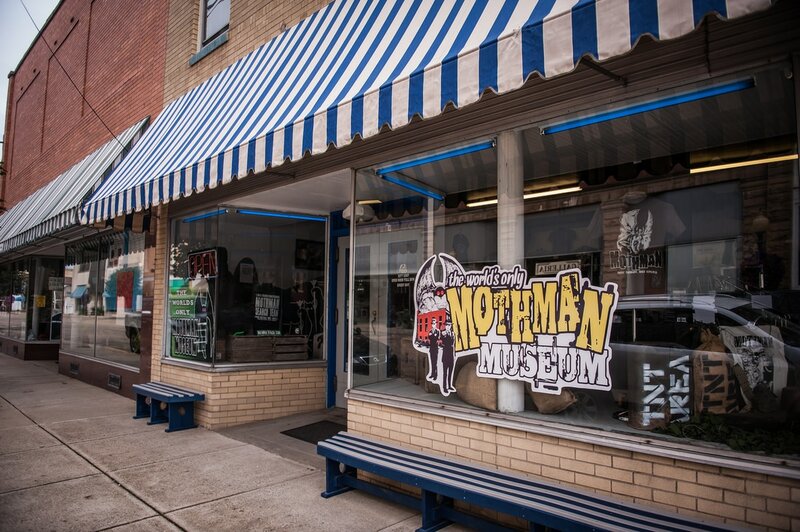 FALLOUT 76 MOTHMAN MUSEUM POSTERS AND T SHIRTS ARE NOW IN STOCK !!! 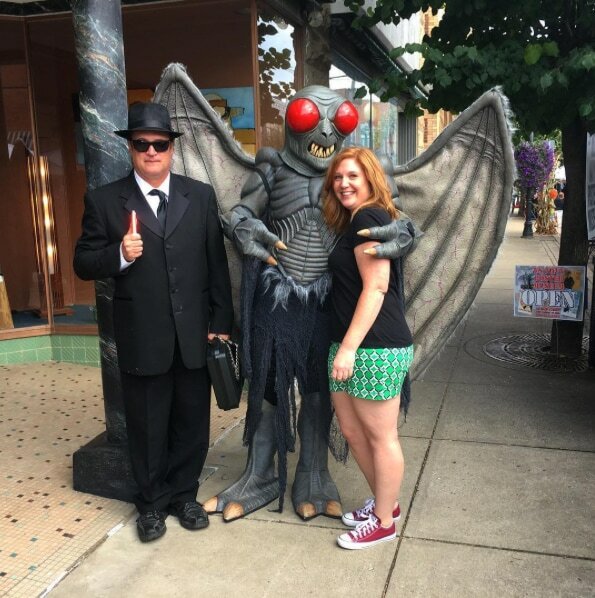 ..
​Mothman Festival is an annual event held every third weekend in September that commemorates the 1966 Point Pleasant, West Virginia Mothman sighting, which gave birth to the infamous red-eyed winged legend. 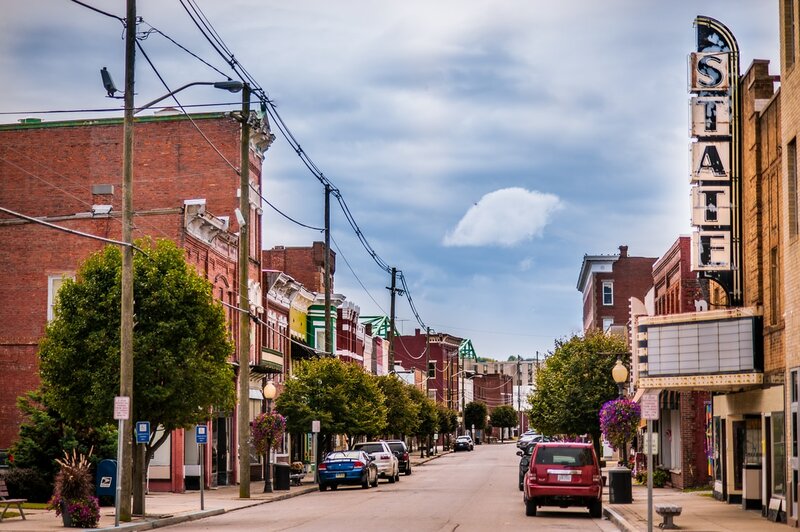 People from all over the world gather around our charming Main Street to celebrate their favorite cryptid during this one of a kind event. 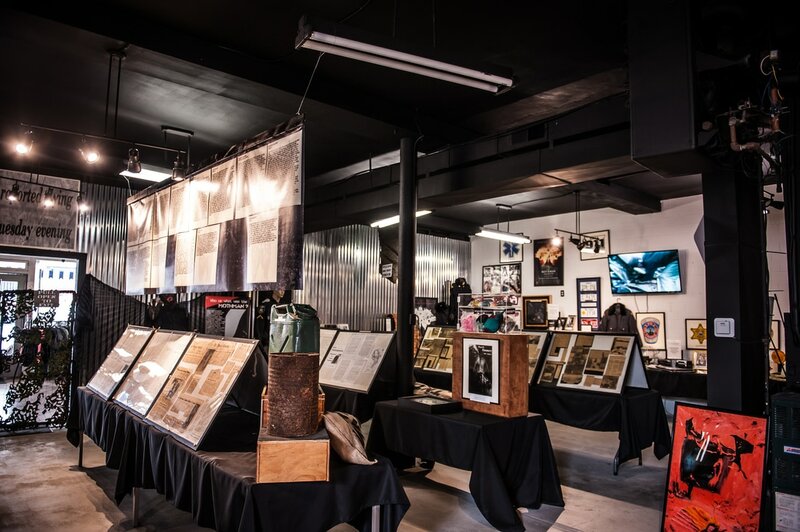 FIND OUT EVERYTHING YOU NEED TO KNOW ABOUT OUR FESTIVAL IN THE OPTIONS BELOW. 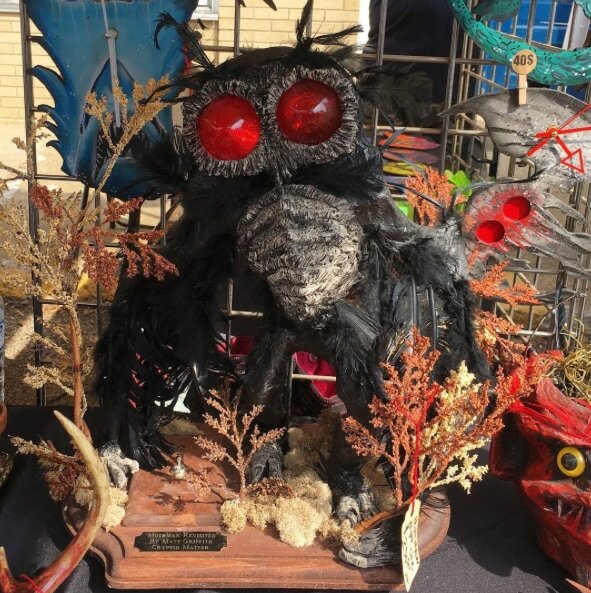 ​TO MOTHMAN FESTIVAL WITH THIS FRIDAY EVENING EVENT. 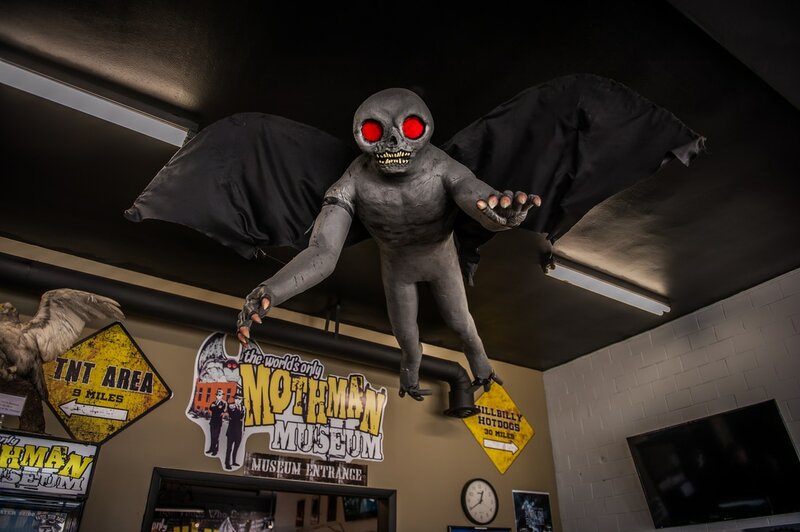 Located in the heart of downtown Point Pleasant and adjacent to the famous Mothman statue, this museum is dedicated to preserving both the history and the mystery surrounding the illusive cryptid famously known as Mothman. Typically we post updates on our facebook page pretty regurlarly. Most of the time it's usually before we can update our website. 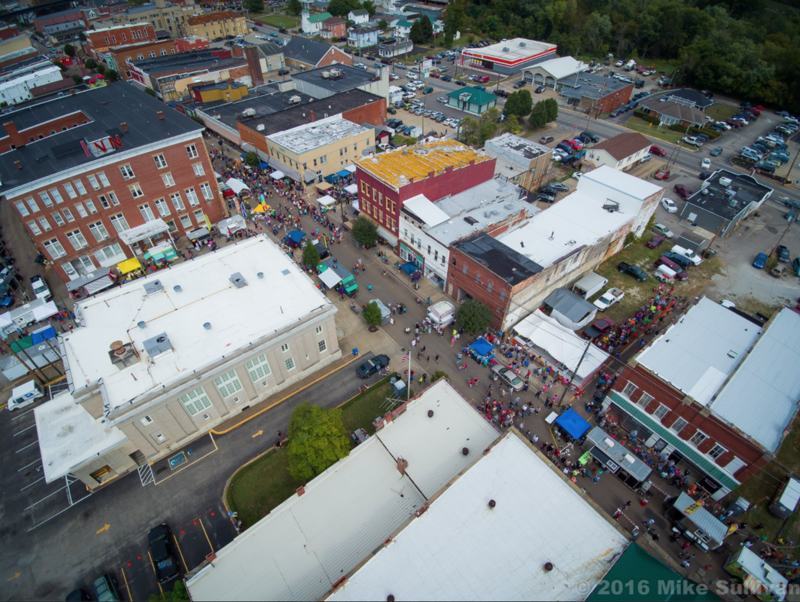 So if you want to stay up to date on our most recent news and announcements about Mothman Festival, be sure to click on "FOLLOW" and you'll be redirected to our facebook page.